I had heard Chile and Argentina were getting a fair amount of snow and when Byron Bagwell presented the idea heading down for a splitboard trip it peaked my interest. After searching for flights we found that by flying out of Vancouver, BC we'd save roughly $600 per person. Photographer Carson Artac joined the mission and we flew south in search for powder. If you've never flown to South America I suggest you look into LAN airlines. They beat the pants off any US airline I've ever flown with your own personal TV with thousands of movies, music stations, good food and all the wine you can drink. The stewardess literally nudged us awake during our flight to see if we wanted more. This after Byron and I had probably drank a bottle each to ourselves. After landing in Santiago we caught a taxi to Wicked Campers where our rental van was waiting. We chose a 6 sleeper camper van with a small kitchen to claim as home for the next two weeks. Wicked's loud graffiti artwork on the sides of the van give the vibe that you're rocking life way harder than most but the reality is we were just a bunch of snowboard bums trying to do Chile on the cheap. We crammed all of our snowboard bags, backcountry packs and personal belongings into the van, set the Garmin GPS for Chillán where we'd seen Facebook postings of lots of snow and headed south for seven hours. A quick stop at the local market proved to be a real eye opener as a local man told us we owed him money of which I told him "No." As we pulled out into the street the man slammed his palm on the driver side window and spit on the windshield. He followed up with two middle fingers as we threw the van into first gear and peeled out. We learned later from a local that these street guys stake claim to parking spots on the street and collect money from people who park in their spots because they "watched" their vehicle and helped back them out into traffic. A little culture shock to start off the trip. We rolled into the parking lot of Nevados do Chillán at night and popped the roof tent. The wind whipped most of the night so we didn't get much sleep but it was in the morning when the real slap in the face showed up. The resort and backcountry looked nothing like what they had posted the day before and we learned from a few employees that it hadn't snowed in weeks and had been mostly raining. We had been fooled by a marketing ploy by the resort to draw people to the resort during the holiday week. We decided to make the best and poke around on the splitboards in the rain. We didn't make it too far before we decided that with nowhere to dry our wet gear out in the van it might be best to call it a day. We made our way to the bar at the hotel to dry out and find some WiFi for a weather report. It now looked like up north was going to get a big storm in a few days and maybe a skiff that night for us down south. We stuck around for another day and didn't get any snow but did get a tour in on the splitboards that made us realize Chile was having an extremely bad winter. Low tide. We packed up and headed north for 10 hours. This is your cheap beer. We learned later after having the worst farts ever that the water source for the brewery isn't very clean and that's what gives it the taste. The highways are littered with trash and these little churches. People drive pretty erratic and you'd think with all these reminders they'd be better drivers. While this may look beautiful it was also the only place they would allow us to eat. We weren't allowed to eat in the restaurant with the other people. Arriving at Portillo we were greeted by a parking lot attendee who showed us where we could camp in the parking lot during our stay. We awoke to 6 inches of snow and made the best of the day by exploring the resort. Being that the lake wasn't frozen over we wouldn't be able to splitboard out to the goods. It was also low tide at Portillo and without being able to get into the big lines we wanted, we started looking at the weather again. We ran into another Wicked Camper van and it ended up being Byron's friends from the states. Small world. The road up to Portillo has no guard rails and carries the traffic of all the major freight going to Argentina. Weather was claiming that Farellones was going to get hit with a big storm and stay cold so we pilled back into the van and drove 5 hours to the little village town that sits up high in the mountains. The road to Farellones was 10 times as crazier than the one to Portillo and the fact that giant tour buses bring people up and down everyday is mind blowing. Another mind blowing fact was that there was almost no base at the resorts and everything was riddled with rocks. The quick lines from the road that are normally low hanging fruit wouldn't even be ready to ride unless they got three feet of snow and even then it would be sitting on a rain crust so avalanche danger would be off the chart. We found a little pull off to make camp for the night and after bedding down we were awoken by the snowplow drivers telling us we couldn't park there due to how much snow would be coming. We climbed out of our bags and with the snow now pounding down at a rapid rate we had to put chains on our tires to even go anywhere. We found another empty lot and parked as close to the entrance as we could. At the rate the snow was falling we'd be digging ourselves out for a while before going anywhere. This is the look of disappointment as our path out was blocked for the third time by the snowplows. This is where we sat for 6 hours waiting to drive less than a mile to the parking lot. People without chains causing giant traffic blocks. This is why we carry duck tape on our touring poles. Never know when you'll need it. Gas tank repair. It was a sh*t show to say the least in getting anywhere the next day. Why people don't put their chains on until there is a line of cars and they're stuck I'll never know but it took 6 hours to get a couple miles. While stuck in traffic we noticed we could smell gas pretty bad. Byron and I found the gas tank was leaking. It had been over a week since we had showered or gotten a really good nights sleep so we opted for getting a hostel and some WiFi so we could call Wicked Campers. We found a new hostel that was really nice and the owner Pablo gave us an even better room for the same price. If you're ever in Farellones look up Trawün Lodge Hostel. Breakfast at the hostel before heading out for the powders. We caught the first gondola at Valle Nevado and worked our way up the mountain for the off piste stuff. Byron and I put in a boot pack and got to work with Carson across the valley firing off shots with his long lens. It started to get a bit warm and going out further on the splitboards with the fresh snow on a rain crust wasn't the best idea in regards to avalanches so we decided to play it safe. Little did we know that would be the last bit of good snow we'd see the rest of the trip. Off piste terrain looks tasty. We got back to the parking lot to find a distressed young Chilean girl walking through the parking lot. We could tell she needed help of some sort but kept walking past all the other Chilean people. Then she saw the gringos in their bright van. She made her way over to us and was very nervous but we eventually learned that the bungees on their chains of their car had been stolen and wanted to know if we had any rope. Byron dug into his pack and pulled out the rope he uses to cut cornices in the backcountry. She and the others were all young kids and noticed they had put the chains on backwards. Byron is a huge believer in karma so we helped put their chains back on and secure them with our rope. In return they gave us a whole bag of chocolate candy bars which we finished in less than two days... This whole situation made us realize something. This girl knew what the majority of people in Chile are like and unwilling to lend a hand to your fellow citizen. She knew that most of us white foreigners will go out of our way to help someone. It's unfortunate but that seems to be a cultural thing for the people of Chile. Our gas tank was in desperate need of repair and the fine folks at Wicked Camper had arranged for us to come in and get our gas tank swapped out within an hour. They even gave us a free tank of gas for our trouble. Weather looked like it was going to hit southern Chile but even further than when we were there last. We pushed for 8 hours until we found a Copec and camped for the night. One nice thing about traveling on the interstate in Chile are the Copec gas stations which have free WiFi, clean bathrooms, showers and a food court. The police patrol them regularly and even stopped to check to make sure everything was ok with us, shook our hands and then left. In the morning we finished the remaining 3 hours of driving. The souther part of Chile resembles the green and mossy parts of Oregon. Rolling green farms and a slower pace. The people tend to be a lot nicer down there as well. Upon arriving at Corralco we saw that they too had hardly any base with lots of rock exposed. WiFi was really hard to find but we managed to get a weather update from an employee at a local pub. The large amount of snow that they were supposed to get had dwindled to a couple inches if lucky and temps were warm with high winds. In the morning we woke to howling winds and part rain, part snow. We sat in the van for a few hours drinking instant coffee hoping that the weather would let up. It didn't and we opted for going down lower and hiking through the forest that had these really unique trees. Something to keep our minds occupied and a little exercise. Quick gas tank swap at the shop. Byron cooks up brunch at a waterfall on our way to Corralco. Byron and Carson up front. Myself in the back as it pissed rain. Gear everywhere makes for tight quarters. Trees specific to only this area. No snow in the forecast and in desperate need of a shower we found another hostel in a little town with a small vibe. The owner of the hostel recommended a little family restaurant where we had the best beef I've ever tasted in my life. It came stacked on fries, peanuts and dates. A bottle of the top shelf wine ran us $4/US. Looking at weather patterns again it appeared that Nevados de Chillán might be our last chance of snow before we flew out. We made the call to go back to where we started and see if we'd get lucky. The snow in Chillán was even worse than when we saw it almost two weeks ago but we decided to get some exercise and skin to the top and near the volcano. It was one of the worst skinning experiences I've had yet. Pure ice snow and no splitboard crampons. Unfortunately we had more rain and in an animated story one night, Byron's partially dirty thumbnail connected with my eye and we spent the next day at the urgent care making sure I wasn't about to go blind. Even with my blurred vision, pain and watery eye they assured me that it was just scratched and would heal. We drove a total of 2,600 miles over two weeks and having our Garmin Montana 680t GPS was a lifesaver. You can't rely on offline maps on your phone in Chile. Icy steep slopes for our last skin in Chile. With nothing to do but sit around and wait till we flew out in a few days we opted for going to the beach and checking out a little town. We bought a bottle of wine and shared it on the beach. We were all pretty quiet. We had spent the last two weeks in a foreign country with a language barrier, no snow and in close quarters 24/7. We were all pretty ready to be back in the states. During our travels we had been taking photos of all the dogs that roam the streets. Byron coined the term "The dogs of Chile" or "Chile dogs". It was interesting that dogs ran wild and lived off garbage scraps and some seemed healthier than dogs at home with owners. Byron recalled a cool little neighborhood with a hostel in Santiago that we decided to go post up for the last night in Chile. We ate more good beef and drank wine. We toasted to making it through two weeks with only three showers, not killing each other, not dying on the interstates and making the most of what snow we could find. We might make it back to Chile someday but I personally will be making sure I can speak fluent Spanish before doing so. It'll get you a lot further. Trust me. Byron and one of the many dogs of Chile. Carson in front of the Belle Vista Hostel. Byron and some Santiago street art. This dude was in the airport traveling with his TV. His only carry on. Got a bus in the US that you want to "house swap" with a converted bus in Australia? Our friends down under at Beats Bus are planning to come to the US and do some road tripping and attend Burning Man summer 2016. 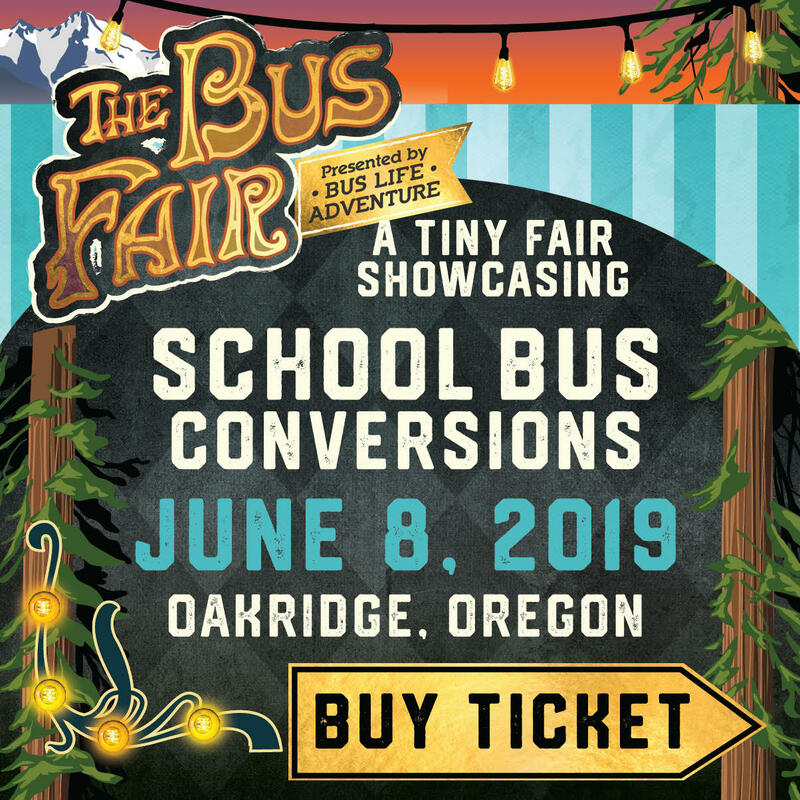 They're looking to do a bus exchange with someone who has a skoolie in the US and offer up their bus conversion for someone who wants to go go see Australia. Sounds rad right?! We've listed the information below about the couple and how to reach them if you're interested. Might be a good excuse to go see Australia bus life style. There's obviously some logistics involved with the whole thing that you'll have to work out but it will all be worth it in the end. August 1st to September 10, 2016. * Flexible with length of time buses are exchanged for. We will be in the States for the above dates and ideally would have the bus exchange for the entire length of time. Please note that the BeatsBUS purposely does not have a toilet, inbuilt shower or sink. Generally as free campers Australia's East Coast is very easy to access clean and good free bathrooms, showers, water sources. We both have gym memberships at a 24/7 gym chain if a hot shower is desired, however the climate in Australia doesn't really require hot showers. We love the beach and spend most of our time at or near it. We live a simple life which is blissful as our work life is quite busy. Beach swims in the morning and surfs in the afternoon. We live for live music and can recommend a stack of gigs, events and festivals whilst you are in Australia. We have been free camping and have had no problems in doing so. We find that if you stay in the same place only one or two nights people are friendly and don't have a problem with you staying there. We are respectful of the environment and never leave rubbish behind. We find cruisy places next to the beach with showers, bathrooms and shade. We have met a lot of amazing people on the road and have learnt a lot about ourselves too. If you are looking to free camp we can recommend our favourite places to those coming to Australia. We also have friends and family in most cities on the East Coast so if you need a rest from Buslife they're more than happy to accommodate. Australia as a whole is very relaxed. The environment is amazing, white sand long stretches of beaches, luscious rainforests, open red dessert. Depending on where you are located, the climate in August/September is generally between 15 degrees celsius and further north 25/30 degrees celsius. It will be spring at that time which means the water is generally warmer, the surf starts to pick up again and everything is quite fresh. We are a clean, tidy and respectful couple. Having renovated our BeatsBUS from scratch with the help of some tradie mates we understand the work, love, money and time that has been put into our homes on wheels. We would love to exchange for a 5 - 6 week period with others who also understand this. We are looking to exchange the BeatsBUS for the 5 week period and only require a simple vehicle in return. Ideally the vehicle we swap with would have the same or similar features as the BeatsBUS and would need to be reliable. Upon 'e-meeting' potential exchangers we would like to discuss the finer details such as insurance, breakdowns etc. etc. Our good friends at Sidewayz Motors came across this Ford E350 Sportsmobile 7.3l diesel at an auction that had suffered fire damage that had only 20,000 miles on it. Paul and Will are some of the smartest guys I know when it comes to rebuilding vehicles and doing things right. They were the ones that actually fixed the snowmobile deck on the back of my bus from looking like it was falling off again. They took all the Sportsmobile cabinets out and had them rebuilt. The van now has the highly sought after Advanced Adapters ATLAS 2SP 4x4 transfer case. They did some custom work with a new bumper and rerouted the exhaust to blow out the top. Advanced Adapters Atlas 2SP with 4H and 4L for front and rear. This summer I had the chance to go explore Lassen Volcanic National Park in California where Heidi and I camped and hiked for a handful of days. I knew nothing about the park prior but Heidi filled me in on a few key things as she designs the pins and patches for over 100 national parks and knows a thing or two. The park was founded in 1916 but years before that the natives in the area called the main peak a mountain of fire and water that would eventually blow itself apart. Which totally happened later. Kaboom. I could go into all the facts and history but I'll let you read the Wikipedia page if you're interested. Otherwise, here's some photos and some insight on our adventure. The first night we camped in Lassen we were hit with massive rain. Rain coming down so hard that everything in the campsite was under water. Almost every campsite was reserved but it was a ghost town. We found one site that was open for that night and we hunkered down with wine and a deck of cards where a few games of Rummy ensued. The next day we did some hiking in the main areas of the park before driving around the park to the area that gets the least amount of traffic. I'm glad we did because we discovered that if you buy a meal at Drakesbad Guest Ranch you can soak in the hot springs. The Pacific Crest Trail runs through the guest ranch and we were able to talk to a handful of people hiking from Mexico to Canada with nothing but a backpack and smiles. After a short hike to Boiling Springs Lake we decided to go camp at Juniper Lake. The lake was deserted and the views were stunning. If you travel to Lassen make an effort to go see this side of the park as not many people venture this way. On our last day in Lassen we decided to hike to the top of Mt. Harkness where a historical fire watchtower still stood and fully staffed to our surprise. Heidi had designed the patch for the park for Mt. Harkness so we had to go do some "research and development" for the next patch and pin. Upon arriving we met the lookout who spends 10 days on and 4 days off. Volunteers pickup the 4 days he's off and everyone has to make the long hike to the tower. With 360 degree views the lookout walked us through his routine he is required to go through every 15 minutes looking for fires. Armed with only his eyes, a radio, books and a guitar, this lookout has lots of time to write music and read. Bumpass Hell springs. Some dude named Bumpass fell in. Twice. Thus the name. Pool fed by natural hot springs. If you don't feel like hiking to Boiling Springs Lake you can take a horse. Yeehaw! Little did we know that at this point the lookout was searching for his shirt. We kinda snuck up on him. Had to use our Grape Solar Go Charger Kit to charge our GoPro. Glad I threw it in!